Champion Pet Food traces its origins back in 1975, to a small company that came about, aiming to supply animal feed for local farmers but has since then, slowly evolved and expanded into a modern factory manufacturing pet food of the highest quality. 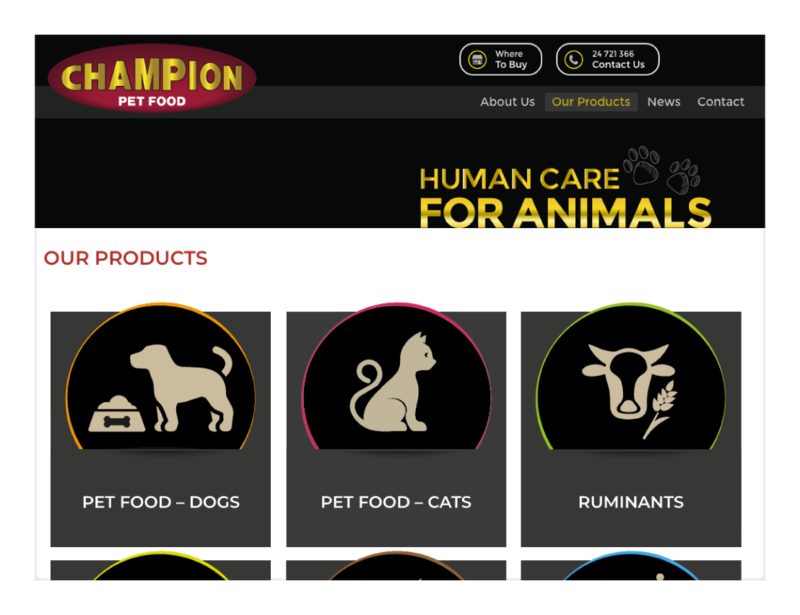 The very friendly staff of Champion Pet Food came to us for the design and development of a new website that would appropriately represent their company and its values. Concluding a thorough analysis of their old website and business activities, Web Theoria designed and developed their brand new, fully custom website with the goal of creating a strong online presence about who they are, what they do and why they are an excellent choice. We whole-heartily welcome Champion Pet Food aboard and wish them great success in the future!